Given the abundance of anecdotal information and new research data on marijuana, it's fair to say that the prohibition o pot isn't just ineffective, expensive, racist, and amoral, it's downright damaging to public health amid a government-sanctioned pill addiction and overdose crisis of epidemic proportions. Here’s the massive number to remember: 25 percent. States that have legalized medical cannabis have 25 percent fewer deaths from prescription pill overdoses than states that have not, according to a major study published Monday in JAMA Internal Medicine. 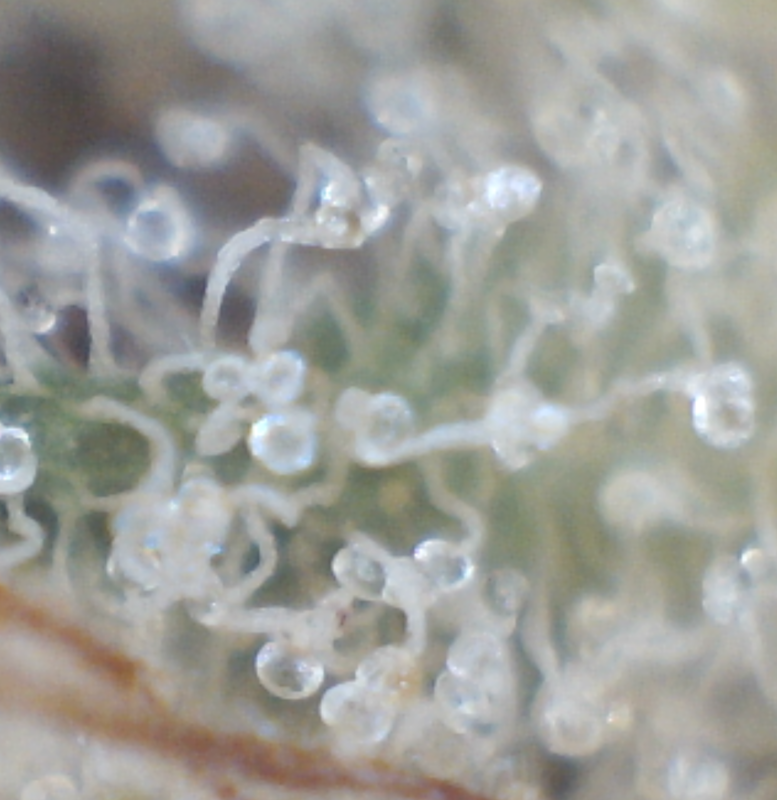 Legalizing medical marijuana (shown above under magnification) is associated with a 25 percent decrease in deaths from prescription pill overdose, a new study finds. Researchers tracked deaths in all 50 states between 1999 and 2010, as well as those states’ medical marijuana laws, finding that “about a 25 percent lower rate of prescription painkiller overdose” after medical cannabis was legalized for medicinal use. In 2010 alone, legal medical marijuana saved about 1,700 people from overdose deaths, the research indicates. That’s because cannabis is a useful painkiller, especially for people with pain that does not respond to conventional painkillers, doctors say. Medical marijuana patients are partially or entirely substituting the plant for deadly opioids like hydrocodone and oxycontin, researchers have found. Prescription painkiller overdoses will kill about 16,000 Americans this year. Marijuana also has no lethal overdose level. The University of Pennsylvania research team is not ready to attribute the drop in overdoses to marijuana, but we are. Marie J. Hayes of the University of Maine writes in a release: "If medical marijuana laws afford a protective effect, it is not clear why. If the decline in opioid analgesic-related overdose deaths is explained, as claimed by the authors, by increased access to medical marijuana as an adjuvant medication for patients taking prescription opioids, does this mean that marijuana provides improved pain control that decreases opioid dosing to safer levels?" Yes, Dr. Hayes it does. There are already studies to that effect. "A UCSF study suggests patients with chronic pain may experience greater relief if their doctors add cannabinoids – the main ingredient in cannabis or medical marijuana – to an opiates-only treatment," UCSF reported in 2011. Furthermore, 66% of Bay Area medical cannabis patients in one 2009 survey reported using cannabis as a substitute for prescription drugs. "If the relationship between medical cannabis laws and opioid analgesic overdose mortality is substantiated in further work, enactment of laws to allow for use of medical cannabis may be advocated as part of a comprehensive package of policies to reduce the population risk of opioid analgesics." It's substantiated. Enact them now, especially in the South.